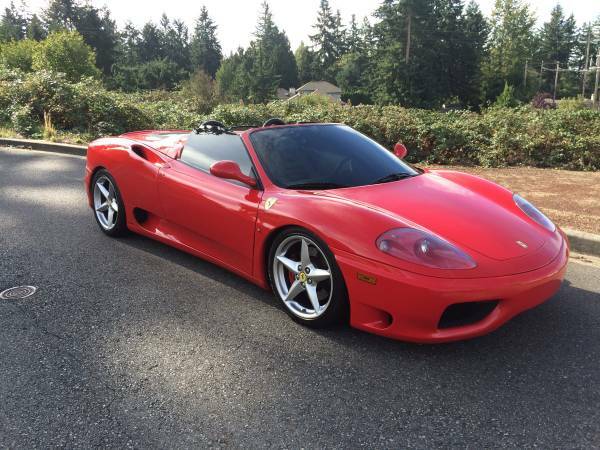 This is a Ferrari 360 Spider released in 2003, one of 670 Spiders that were produced with a rare 6-speed manual offered for sale in Craigslist for $ 98350 located at Seattle. 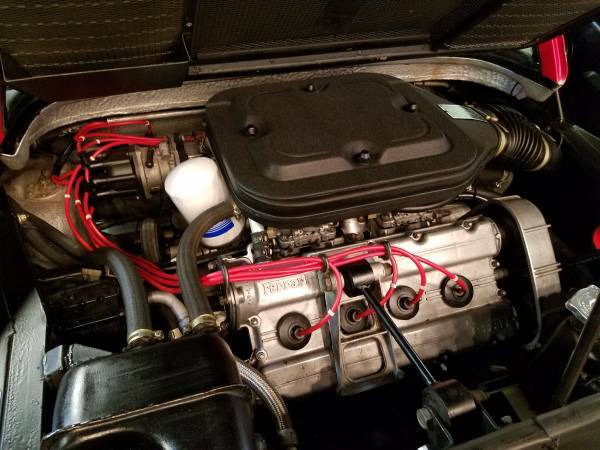 The car looks great for its age is a stock one-owner example in classic Rosso over tan leather with just over 35,325 miles and a documented service history from new. Exterior, the 24 years old Rosso paint still looks smooth and shiny. The best things is on the body side, designed by Pininfarina from aluminum without wings or tail but produced nearly 400 pounds of downforce at top speed. Hard to find imperfection from here, if you are interested should come to see directly its real condition. Not the best angle to represented all the interior, but free of damage or signs of severe wear and tear to him. Tan leather seats look has a good shape but shown its age, the good is no major rips or tears shown here. Looks so cool, a transparent engine cover fitted by a 3.6 L Tipo F131 V8 engine inside, and nothing disturbing the eyes all looked clean and nicely. 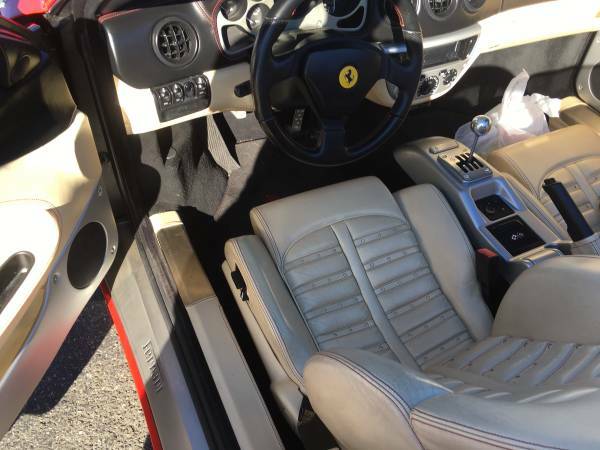 For the 360 model has two options for the transmission, the first with 6-speed "F1" electrohydraulic manual as standard and the second is a rare one with a 6-speed manual, and the owner claims this car carries a rare option. Found this one superb hot rod custom build being offered for sale in Craigslist looking for $250000 located in LA. 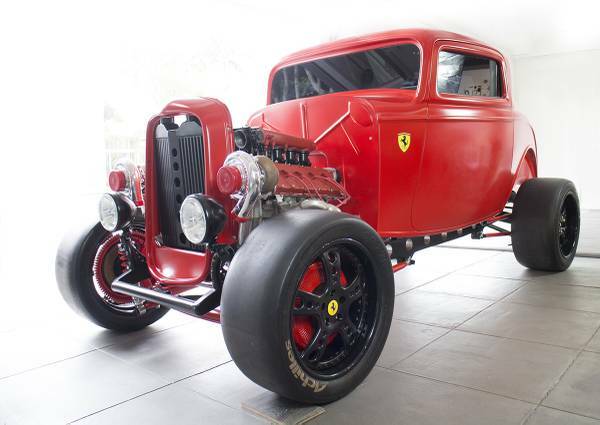 As you've seen here is very nice Ferrari Hot Rod based on 1932 Ford chassis and fitted 18 inches black Alan Lee rims wheels wrapped Achilles racing slick tires to accommodate its performance. May with its original frame and chassis the Ferrari has a lot more value than this, they should have a compelling reason to do that, but not revealed in the ad. 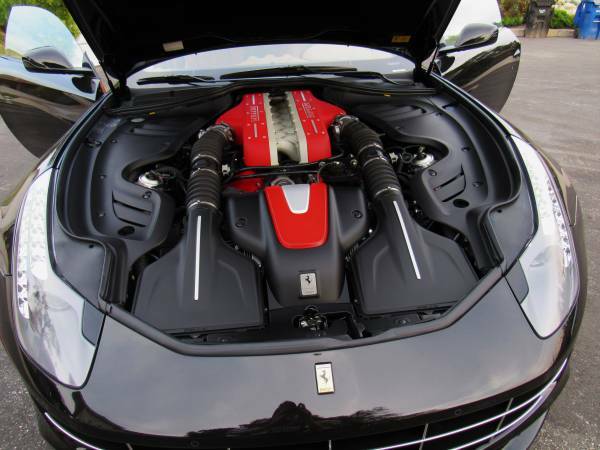 As far as we can see from the photos and read descriptions, the engine came from late 80's Ferrari model as 3.0 L V8 form most likely it a Dino engine belong Mondial or 308 GTB/GTS. 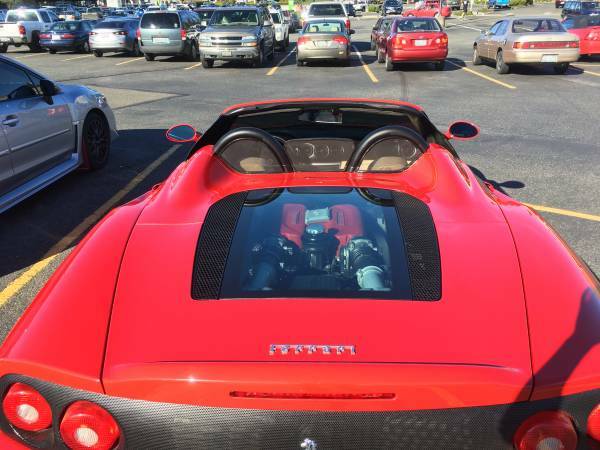 Just guessing, the car was destroyed by accident so they decided to rebuild on far older Ford frame and chassis to aims a new Ferrari hot rod car get borned rather than let it suffer with a replica. Anyways it really cool hot rod car ever seen here, that was awesome outcome, a clever decision $250000 its worth. 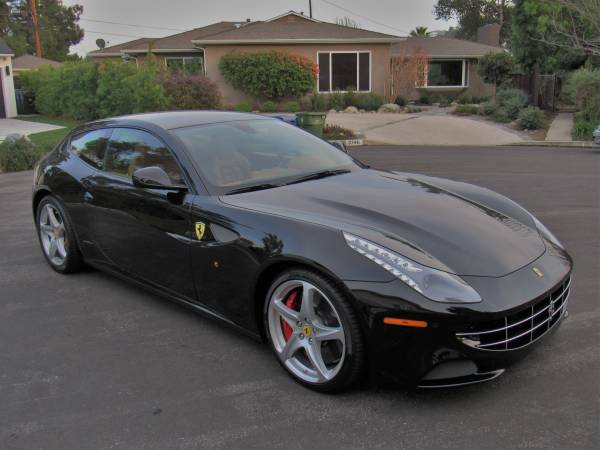 Found this one in Craigslist looking for $185000 located in Mesa, Arizona. 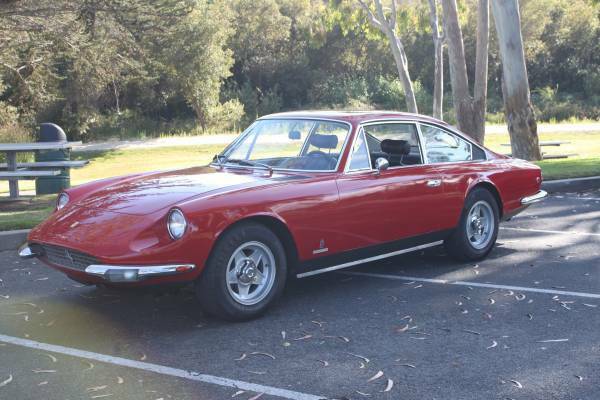 This is a very late production example built in 1969 released for 1970 model that was sold and produced by Ferrari designed to be a comfortable grand tourer were built in very small numbers. 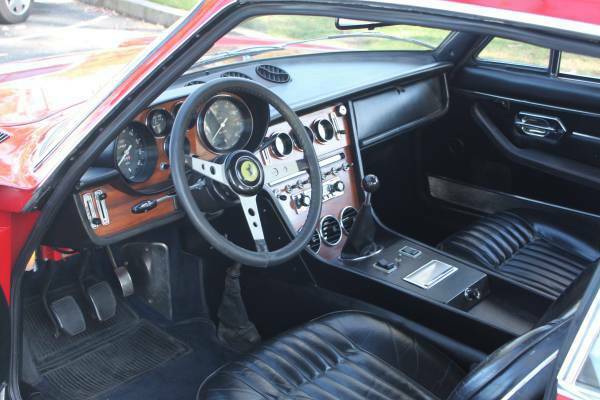 As shown here is one of only 800 Ferrari's 365 GT 2+2 that was looking for a new home. This a large luxury grand tourers powered by a large 4.4L Colombo V12 engine with 3 pedals, outfitting them with electric windows and air conditioning along with power steering. The car is described as ideal for tours and road events, impressive sports car which handles both city and highway conditions comfortably. 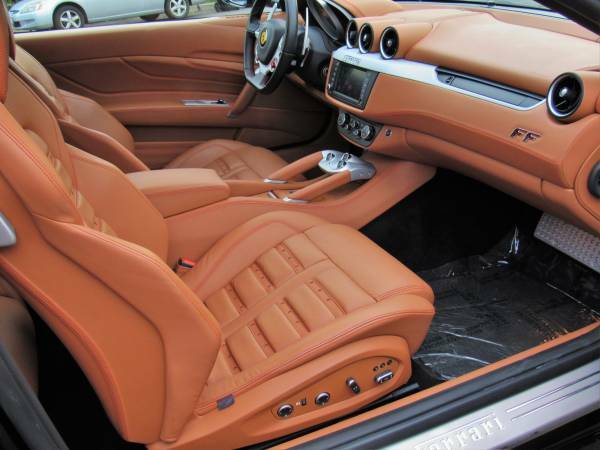 This more length and large than Ferrari interior standards, all shows well for its age overall, no words about renovated. Despite not all represented by photos upholstery looks to be in good shape as does the black carpets, overall look quite clean from here. 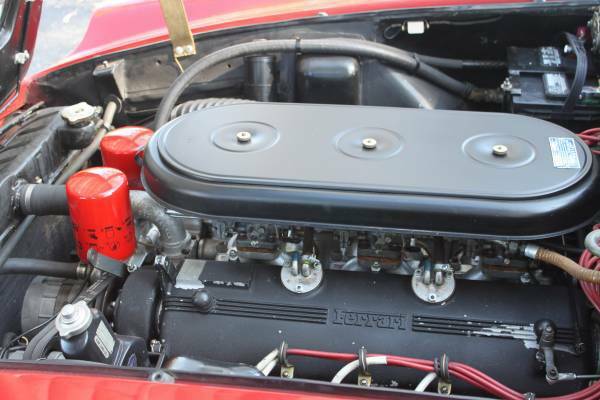 As shown here is a correct type of the 365 GT 2+2 engine but not numbers-matching was reported, the good thing is no words about issue. This is a 4.4 L Colombo Tipo 245 V12 was backed by manual transmission which produces 320 hp and 152 mph for top speed. 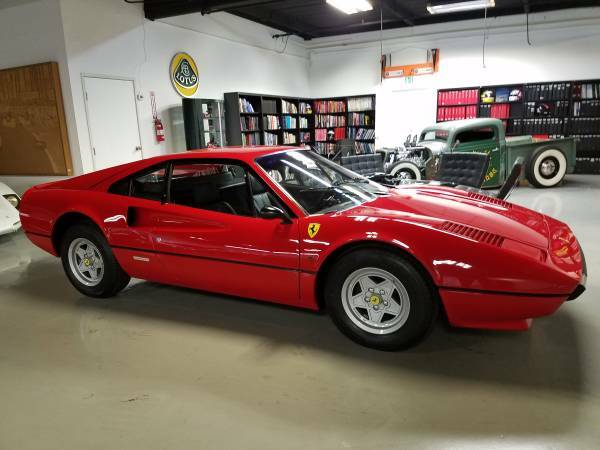 Found at Craigslist looking for a new home, is a rare car in US Ferrari 308 GTB factory fiberglass was built in 1976. No this is not a replica, is a real one by Ferrari there where originally for the very first 308's was manufactured in 1975-1977 with fiberglass bodies, only 808 examples of the fiberglass version were made and this one of them. The Ferrari 308 sold mostly in Italy are the successor of Dino 246 GT/GTS, is 2-seater sports cars with V8 mid-engined, rear-wheel-drive layout manufactured by the Italian company Ferrari from 1975 to 1985. The 308 had a tube frame with separate body was designed by Pininfarina's Leonardo Fioravanti, it also mechanically similar with Dino 308 GT4 and shared much with the original Dino. 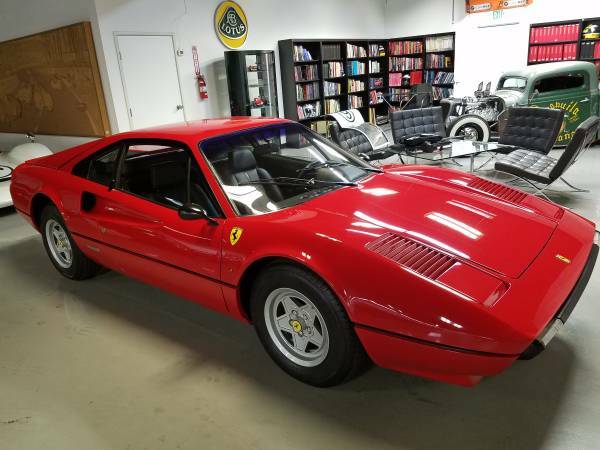 As shown here is 1976 Ferrari 308 GTB European version VIN: F106AB fairly handsome with new red paint on the factory fiberglass body has been driven about 61901 miles, is said in excellent condition no crack, no scratch and free of rust. Hard to find imperfections from here, it could be nicely sample of the Ferrari 308 GTB. 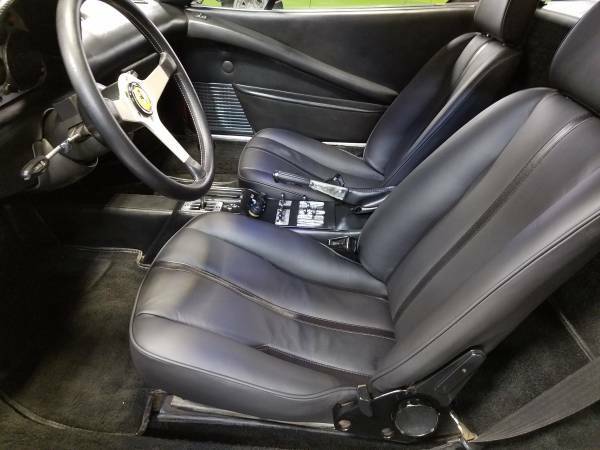 The original color is silver exterior with dark blue interior, this 308 received a new red paint and an all new black interior during the seller's ownership when the distance showing at odometer about 25K miles ago. The black interior shows exceptionally well in photos with clean surfaces and trim throughout, looks cool and very rare of use. The materials all have a good shape and tidy. All instrumentation, lighting and features hope are still good too. As shown here is a 2.9 L Tipo F106 AB V8 was mated with a 5-speed manual transmission, when new 308 GTB need 15 second to acceleration 0-100 mph and 159 mph (256 km/h) for top speed. Despite no words about mechanical issue and unmodified, as always you should come to see for accurately condition.